Hands up, who watches a lot of reruns on cable? Don't you wish Get Smart was still on. Well with the movie it probably will be. What a great show! Interestingly it has a lot in common with diabetes – It is all about Control, KAOS and screw ups. People who don’t know Jack about diabetes have this impression that blood sugar is easily maintained in a narrow range. Some times I secretly do too. Unrealistic expectations of control make for a lot of chaos. Great confusion and disorder follow from the assumptions of the uniformed or worse those who should know better. You don’t have to go far to find either. I am not saying every hospitals trip goes bad but we all have had or know of trips that make Agent 86 look smart. All that is needed is an IV with some sugar to get the BG up, give some insulin and break the ketones. Nope. BG keeps falling and the ER doesn’t have a clue. We can talk ‘till we are blue in the face, they are the hospital and we are patients (or as they see us, the morons.) As a result we get to deal with KAOS. We may as well be in the cone of silence. Been there, done that, dread going back. Maxwell Smart: All right, how about old age? Oh it is so easy to be all smug and think I don’t do stuff like that. If we give our kids the responsibility and trust they can exceed our expectations particularly if we are looking for their successes. There is the key, look for success not failure. We need to offer much more praise than the other kind of feed back. They may slip up, so did Agent 86. Maxwell Smart: Sorry about that, Chief. But I can be my worst enemy. I can obsess over numbers, forget that kids are kids and that they need to do kid stuff. Kids stuff includes Easter candy, Trick or Treating, sleep overs, cup cakes and the more than occasional milk shake. The bad blood numbers average out. Yes - the swings are bad but in the long run, my grown child in therapy ‘cause dad drove me nuts’ is worse. If I get too stupid about the number stuff, I’m going to give them a complex. Better I deal with my stuff. And (in theory) I get it. 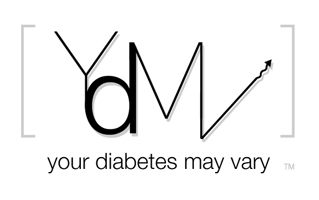 I shouldn’t be one of the people who have the impression that blood sugar is easily maintained. I should know better. I need to try to keep that in mind, particularly as I hand that responsibility over to my kids. Chief: How can we believe a man who would sell out his friends? Siegfried: Dumkopf! Who else are you supposed to sell out? You can't betray enemies! I don’t need to act like I have this impression that managing blood sugar is easy. They will forget bolus. They will under and over bolus. They will miscount carbs. They will forget set changes. They will learn. I need to be OK with that. I need to see that they are being kids first and managing their type 1 well too. Chief: Max, you realize that you'll be facing every kind of danger imaginable. Maxwell Smart: And... loving it.